Victoria’s Orca Book Publishers will receive the 2018 Jim Douglas Publisher of the Year Award. The award is presented to an active BC book publishing company that has, in recent times, earned the respect and applause of the community of publishers for a specific publishing project, an extraordinary contribution to the BC publishing community, and/or its extended commitment to excellence in publishing. Jim Douglas (1924–2016) was founder of J. J. Douglas Publishers, which later became Douglas & McIntyre. 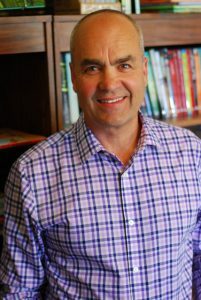 Orca and its publisher, Andrew Wooldridge, are recognized for their accomplishments as one of Canada’s leading children’s publishers, specializing in imaginative, engaging, and culturally significant books for young readers. In addition, they have navigated a successful transition in ownership, built a dynamic team, and developed a significant presence for the press across North America. The Gray Campbell Distinguished Service Award goes to professor, publisher, and author Gregory Younging, who is based in Penticton. Younging is a member of the Opaskwayak Cree Nation in northern Manitoba. He is being recognized for his advocacy for Indigenous editorial agency in Canadian publishing. Through his work as publisher of Theytus Books, the first Indigenous-owned publishing house in Canada, and with the Indigenous Editors Circle, he has led the industry in responding to the Truth and Reconciliation Commission Calls to Action. 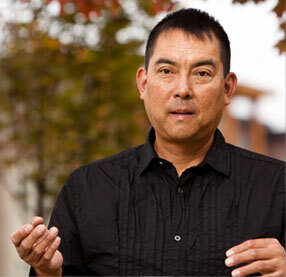 He is a trusted resource for Indigenous and non-Indigenous publishers of Indigenous texts, engaging them in meaningful dialogue about traditional knowledge and cultural protocol through workshops, mentorships, consultations, and the recent publication of his book The Elements of Indigenous Style. The Gray Campbell Distinguished Service Award is presented annually by the Association of Book Publishers of BC to an individual or individuals who have made a significant contribution to the book publishing industry in the province. Named for the pioneering publisher and founder of Gray’s Publishing, the Gray Campbell Award recognizes the importance of the many individuals who comprise the book industry; their energy and creativity are essential to the continued creation and dissemination of books that tell our stories. The recipients will be honoured at an industry reception to be held in Victoria on September 20, 2018.